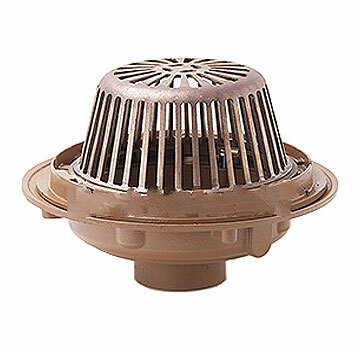 Smith 1010 Roof Drain KIT w/UnderDeck Clamp, Receiver, CI Dome, 8 in. PRODUCT: SMITH 1010 COMPLETE DRAIN KIT, 16 INCH OD FLANGE, LOW PROFILE 11-1/4 INCH CAST IRON DOME, ALUMINUM UNDERDECK CLAMP, GRAVEL STOP, SUMP RECEIVER, 16-INCH BODY, 8-INCH NO-HUB OUTLET. PRICE/EACH. 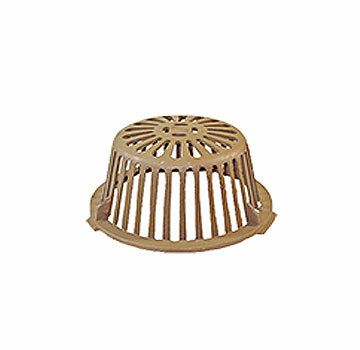 SMITH #1001, Universal Drain Dome AND Collar Assembly Set. Polyethylene with Twist Type Locking Dome and Duco Coated Universal Cast Iron Collar. Price/Set.